Every year you vow to lose weight, save money, quit smoking, or change some other aspect of your lifestyle. 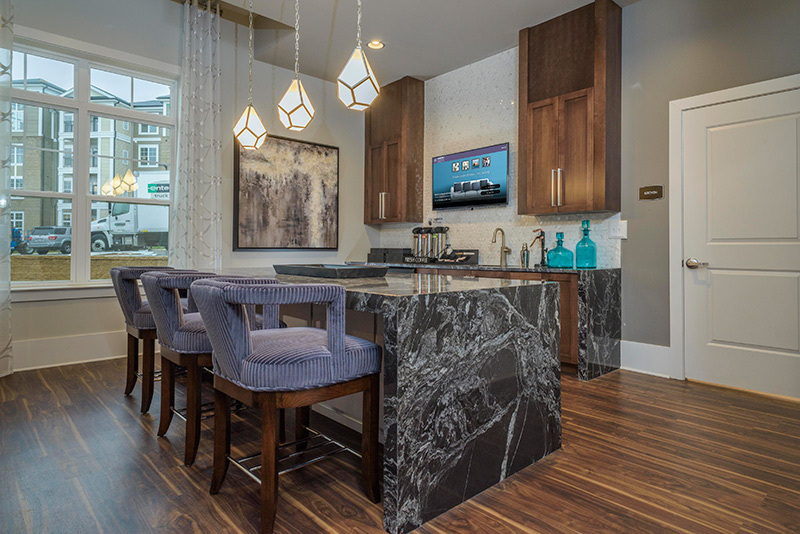 But what goals have you set for your apartment in Fredericksburg, VA? This year resolve to go room-by-room periodically clearing anything that you don't use, wear or love and donate it to charity. After that, think twice about what you bring in. Fill your home with the things that raise your energy level and make you feel good, and get rid of the things that drain your energy or are broken. Stash useful items such as DVDs, remotes and other small items in simple woven baskets. Clear your counters of everything you don't use on a daily basis. And get ready to breathe a little easier in your own home. First, check your house for radon. Make sure you install a carbon monoxide detector in addition to fire detectors. Watch out for dryer lint. We know you clean the little trap inside the door, but most people neglect to clean the vents and ducts behind the dryer. Lint may seem innocent, but it's highly combustible. Remember to switch off the lights when you leave a room. Turn off your air conditioner when you leave the house and dial your heat down to 55 degrees at night. Here are a few tips for keeping the mess under control. Focus on one type of cleaning at a time. It's faster. Wipe down fingerprints on all of the cabinets, for instance, before moving on to spraying and wiping counters. Then move on to windows and mirrors and appliances. Once that's done move on to sweeping and then mopping floors. For optimum efficiency, enlist the help of your family. If you can, divide the jobs among at least three parties. You can get the whole house done in 45 minutes leaving more time on the weekends for fun stuff. One easy update that makes your home seem more "finished" is the addition of plants. They bring in new energy and help clean the air, and it's a great way to decorate if you're on a budget. Pulling out a new accent color from your existing decor can make the whole room seem fresh. Pick an underused color in the room and add more of it in the form of a new pillow or throw to update your look. A colorful rug or runner can also help anchor your space. Lastly, take some time to rearrange your furniture so it is oriented in conversation groups and not just facing the television. These ideas might just give your apartment the new fresh look you are looking for in 2018.